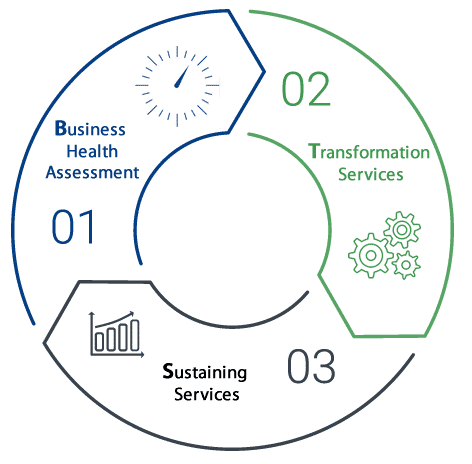 GEC Business Transformation Specialists has been providing business assessment, transformation (improvement) and sustenance services for over 30 years. Aerospace, Accounting, Agriculture, Apparel, Automotive, Banking, Chemicals, Computers, Construction, Consumer Products, Consumer Services, Distribution, Electronics, Energy, Environmental, Equipment, Facilities Management, Financial Services, Food, Fulfillment, Furniture, Government, Health Care, Higher Education, Information Technology, Marine, Marketing, Medical Devices/Supplies, Metals, Military-Defense, Mining, Nuclear, Oil/Gas, Packaging, Personal Care, Pharmaceuticals, Powersports, Plastics, Retail, Safety, Software, Solar, Telecommunications, Tools & Hardware, Testing, Transportation and Waste Management, Wind and Renewable Energy. Our dedicated team of global professionals retain a wide variety of skills, qualifications, education and especially applied experience from the following organizational levels; C-level through Director level, on through Staff level and onto the Supervisory and Skilled Trades levels. Our Transformation Specialists are highly qualified, commanding the following core competencies; Information Technology, Software, Data Analytics, Data Security, Operational Systems, Quality Systems, Human Resources, Training Systems, Finance, Accounting, Tax, Call Center, Customer Service, Engineering, Equipment, Process Management, Program Management, Design, Lean Manufacturing & Continuous Improvement, Simple, Technical and Warranty Problem Solving, Manufacturing, Maintenance, Safety, Procurement, Production Control, Inventory and Logistics, Marketing, Sales, Intellectual Property, Legal, Regulation. We have a global presence in Europe, North America, South America, Asia, India and Africa. Our services are delivered in diverse cultures and native languages making our transformation services measurably effective around the globe.